Place the slices under a medium grill for 10 - 15 minutes, turning frequently until golden brown. 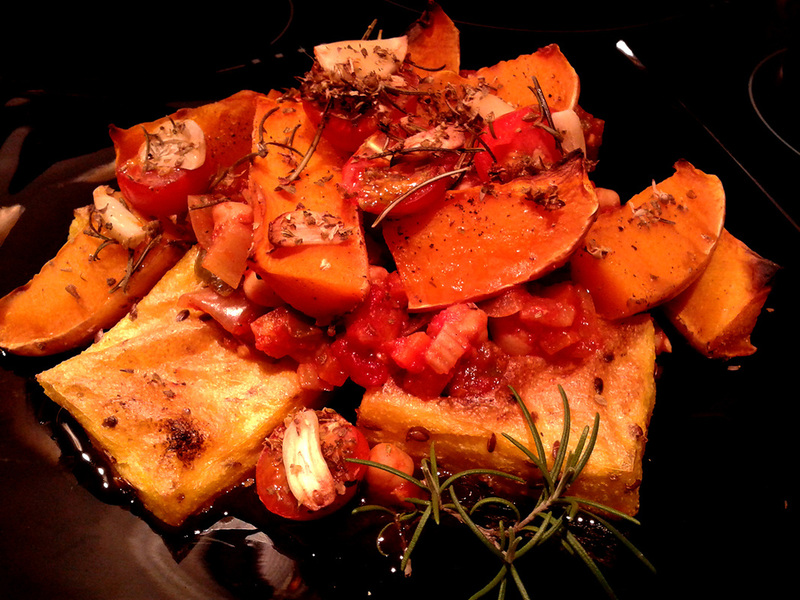 Flax seeds added to the polenta add a bit of texture with an added kick of non-fishy Omega 3. Hurrah! Don't forget, butternut squash skin is totally edible; no need to peel!